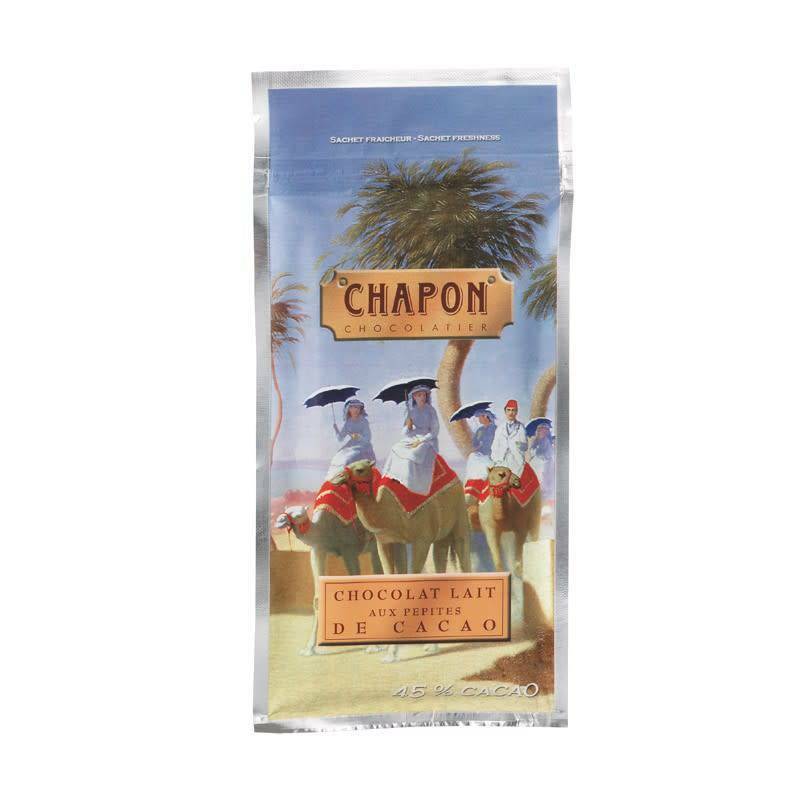 At Patrice Chapon, we talk about cocoa before talking about chocolate. This great French chocolatier travels the world in search of the best beans. The master chocolatier works them himself, from triage to roasting. Ingredients: cocoa mass, cane sugar, cocoa butter, whole milk powder, skim milk powder, cocoa nibs, soya lecithin. All the sweetness of a milk chocolate with exceptional aromatic beans.